This week, I’m sharing my in-the-moment thoughts about having officially, FINALLY, actually decorated my living room. I painted the fireplace and everything! I’m including a photo as promised. As someone who attracts clutter, decorating scares me because I fear going over my Clutter Threshold. But I have hopes, and I’m sharing them with you as well as what the friends who helped me decorate did. For 50% off your first month of personalized Care/of vitamins, visit TakeCareOf.com and enter clean50. Read Older Post Large Family Laundry Day – It CAN be Done! I loved this episode! I too have had the feeling of not deserving decor. My thoughts ran something like this “I just won’t put out any decor because I’ve turned pretty things into an awful cluttered mess in the past”. Since I’ve been listening to your podcast (for about 2 years), my home has changed for the better! And now I’m not as afraid to decorate because of those changes. Thank you for being honest, open, and real! 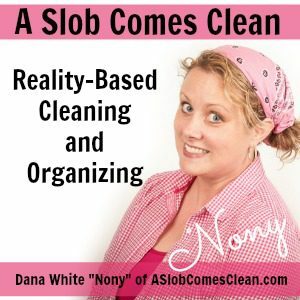 Hi Dana, Thank you for this podcast – I can SO relate to you on many, many levels!!! Could you please put up some photos linked to this, for inspiration?